CREATIVITY, PASSION AND THE DANCE OF THE FEMININE Come and join the circle of reckless hearts as we gather in Einsiedeln to celebrate the red thread of our creativity and passion for life. Through movement and writing, breath, sound and song, dreamwork and active imagination – we will write, dance, and sing our way back to the vibrant red thread at the heart of our existence. This is the third in a recurring cycle of four events – a BodySoul Journey through the Celtic Wheel of Time – from Samhain to Imbolc, Bealtaine to Lughnasadh – through Movement, Ritual, Embodied Story and Dreamtime. Working with BodyDreaming™, mask work, art, voice and movement, we will connect more deeply to our bodies and psyche allowing our imagination to flow freely … (and) give expression to the unlived life by making a mask. How do we hold the tension between the opposites in today’s world, stay open to uncertainty, and cultivate curiosity about the unknown? This retreat is designed for those with a depth of experience in Authentic Movement. To Flesh Out The Bones is to call a new and embodied sense of life into being. The days will weave together BodySoul Rhythms and the myth and story work of Beloved Author Dr. Clarissa Pinkola Estes who’s book “Women Who Run With The Wolves” provides us with maps and storylines for the journey of reconnecting to more of who we really are. 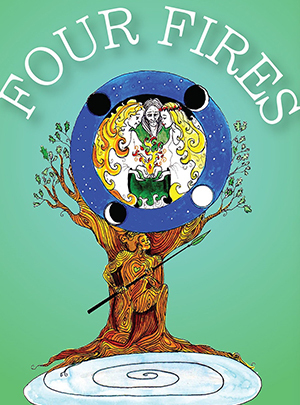 This is the fourth in a recurring cycle of four events – a BodySoul Journey through the Celtic Wheel of Time – from Samhain to Imbolc, Bealtaine to Lughnasadh – through Movement, Ritual, Embodied Story and Dreamtime. - an opportunity to explore the Psyche, through voice, breath and movement. Lena works in both Swedish and English. A BODYDREAMING™ ONGOING PROFESSIONAL DEVELOPMENT MODULE - What is it to be a woman today? What is it that is coming into consciousness individually and collectively at this time of great change? What are the values that we cherish? How do we embody this new consciousness? How might we find our own robust and sturdy action in a world which is crying out for the touch of the feminine? THIS WORKSHOP OFFERS the opportunity to explore these questions through the story “The Handless Maiden”, as well as through play embodiment, discussion and BodyDreaming™. Click here for the application form in Word..
We will deepen into our experience of BodySoul to meet the Cailleach energy in the clay mask, using ...BodyDreaming™, Qigong and Biodynamic Craniosacral work. This is the first in a recurring cycle of four events – a BodySoul Journey through the Celtic Wheel of Time – from Samhain to Imbolc, Bealtaine to Lughnasadh – through Movement, Ritual, Embodied Story and Dreamtime. A Gathering For Women Exploring Body, Soul, Spirit & the Sacred Feminine. The Imbolc day serves as an Introduction to BodySoul Rhythms, the work of Marion Woodman, Mary Hamilton & Ann Skinner. Our day will include working with movement and story, reflection and creativity and personal exploration. Lena works in both Swedish and English. Creative workshop to liberate the word and the voice, to deepen our presence and increase our life energy. Lena works in both Swedish and English. This is the second in a recurring cycle of four events – a BodySoul Journey through the Celtic Wheel of Time – from Samhain to Imbolc, Bealtaine to Lughnasadh – through Movement, Ritual, Embodied Story and Dreamtime. RECLAIMING SUPPRESSED “HER”STORIES - Exploring Irish Indigenous Wisdom in a Global Context. Join us for a study day excavating and examining indigenous spiritual symbols, ceremonies and stories of old Ireland drawing on the encyclopaedic knowledge of Max Dashu and the large image collection of the Suppressed Histories Archives, in dialogue with writer, Mary Condren, author of The Serpent and The Goddess. This is the fourth in a cycle of four events – a BodySoul Journey through the Celtic Wheel of Time – from Samhain to Imbolc, Bealtaine to Lughnasadh – through Movement, Ritual, Embodied Story and Dreamtime. 7 nights, twin bedroom accommodation at Brinsop Court is £1934 per person. For more information or to register, please contact Caring for the Soul or contact caringforthesoul@earthlink.net for information. IMBOLC: This is the second in a cycle of four events – a BodySoul Journey through the Celtic Wheel of Time – from Samhain to Imbolc, Bealtaine to Lughnasadh – through Movement, Ritual, Embodied Story and Dreamtime.